Size: 18’h x 24’w x 26’d. 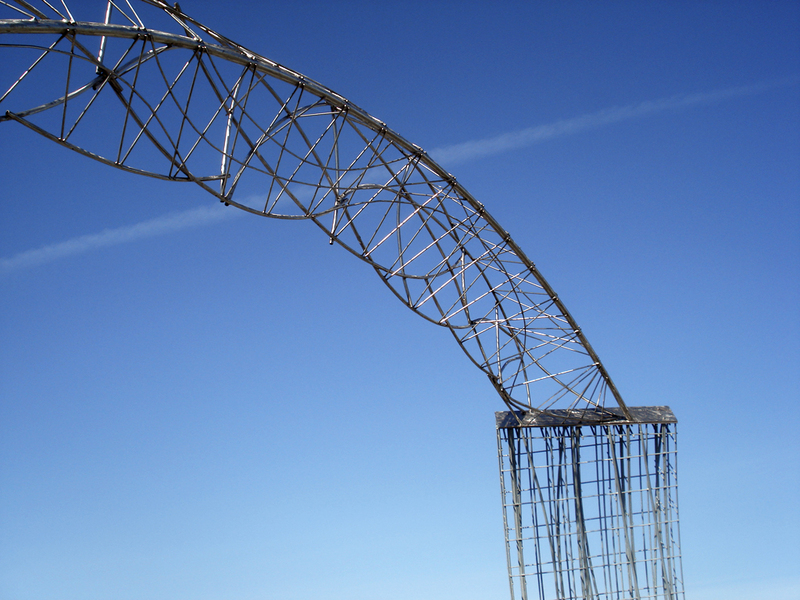 Materials: Donated Pre-cast Concrete Tunnel Lining Segments, Reinforcing Cage, and Stainless. 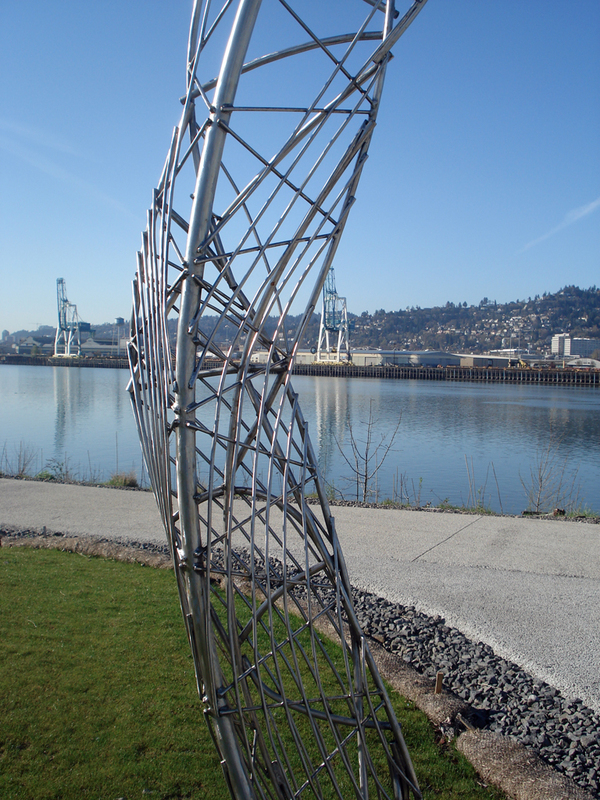 Making the Invisible Visible: The sculpture is sited on the banks of the Willamette River at the confluence of the Eastside and Westside Combined Sewer Overflow (C.S.O) tunnels. 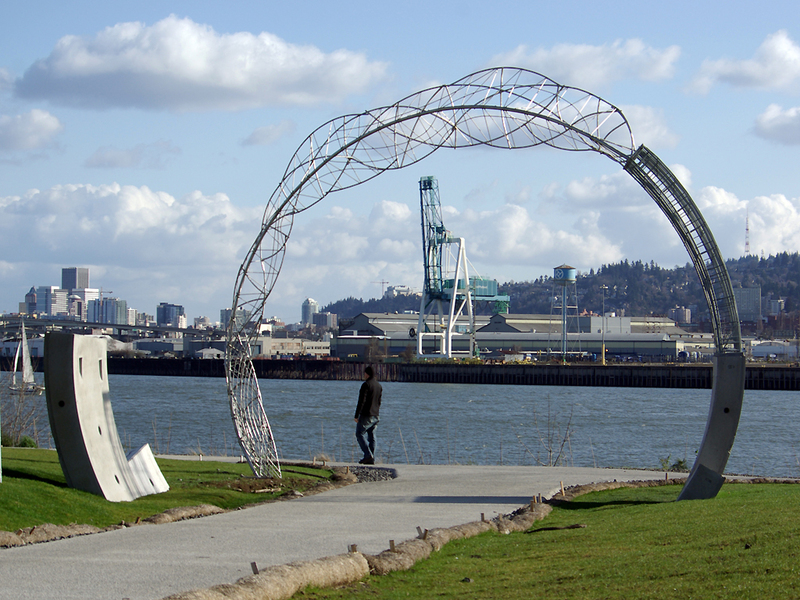 Located on Swan Island, a man-made home to heavy industry, the sculpture echoes an ecological approach to the built environment wherein manufacturing is interwoven with our shared natural resources. 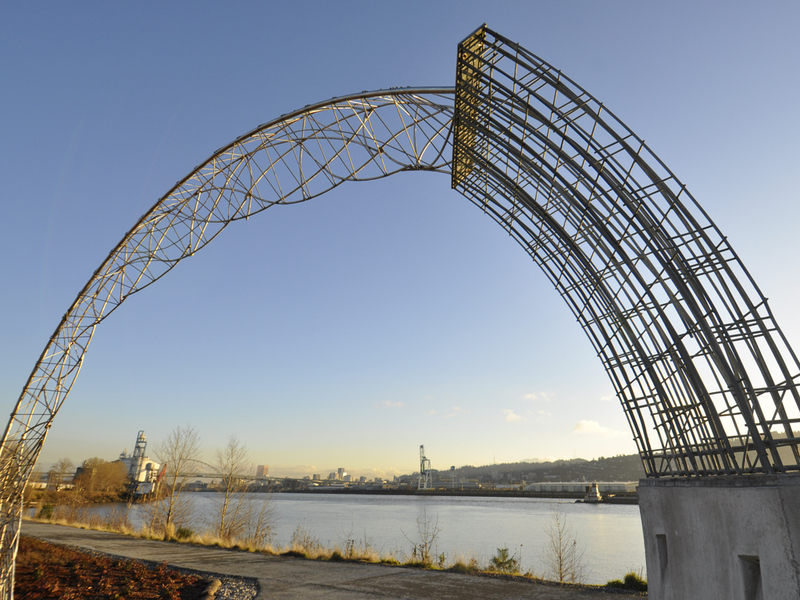 Although the Big Pipe Project is the largest infrastructure project in Portland history, it is largely invisible. 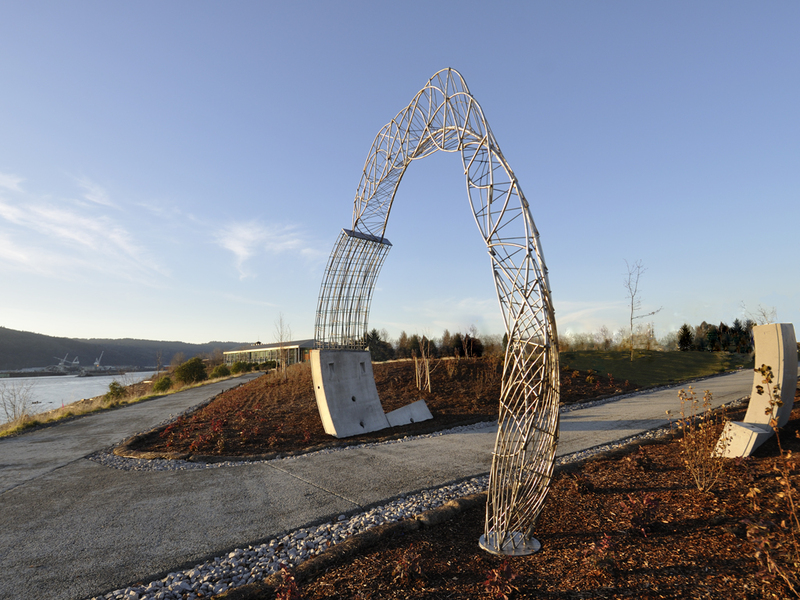 Working closely with the Bureau of Environmental Services, the sculpture celebrates this hidden work by revealing and re-adapting massive pre-cast concrete segments of the Big Pipe. These pieces of infrastructure are now put to work in support of art and narrative. 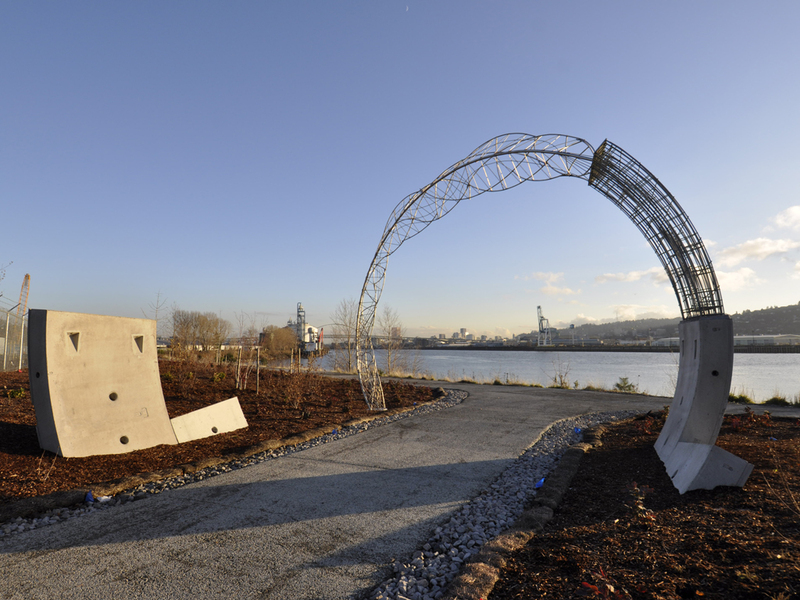 Partially buried in the alluvial bank, the sculpture traces out the circumference of the hidden pipe and transforms from an industrial artifact into a woven arch of currents and eddies.